It is all about control. It is not until you have taken full control over your streetlights and other related assets that you will have the possibility to fully reduce your energy and operational costs and create more comfortable and safer outdoor environment for the citizens. The GreenStreet streetlight system allows you to take full control of your streetlights. With this technology, you will have real-time access to important alarms and status information as well as relevant grid information. You will also have an asset inventory of your streetlights and related assets. For instance, you will have up-to-date information about your location, luminary type, burning hours, last service date and warranty dates. 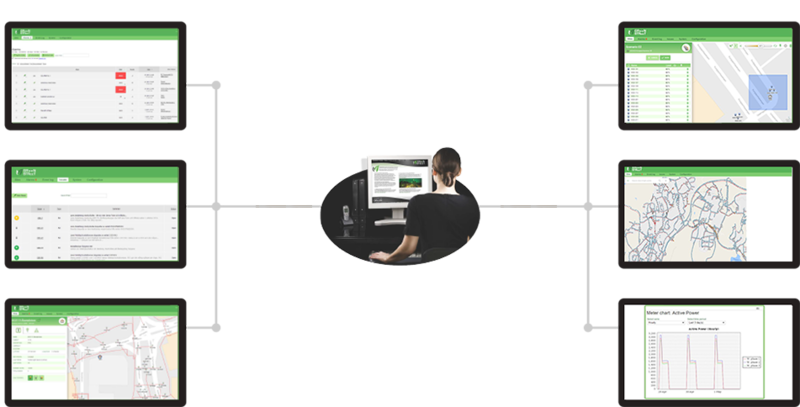 In addition to that, you will have a tool to create an efficient and visible workflow to plan and handle error reports and operational activities. You may have a mix of old and new luminaries, so you may need to organize your service planning accordingly. With the GreenStreet streetlight system, you will have a lot of real-time information as well as the tools to optimize your operations. It may, however, require that your maintenance service organizations change their mindset and routines to get the most out of the system. Capelon can provide training to help your service organization adapt to the new possibilities provided by a smart streetlight system. Capelon can also take the role of your system service team by working together with your operational contractors, thus ensuring that your operations are managed efficiently. To read more about our services within smart streetlight, click here.